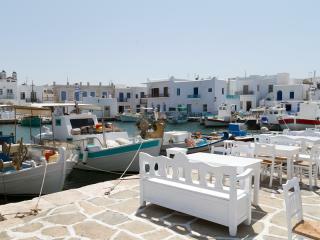 Parikia the main town and port of Paros is the tourist hub of the island. There are sandy beaches within walking distance of Parikia and a large range of accommodation available. 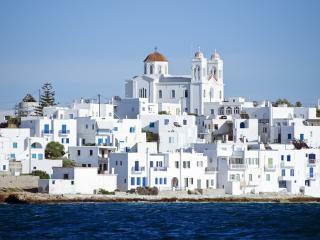 It is a typical Cycladic town with whitewashed houses, small chapels and windmills. The church of Panagia Ekatontapiliani (Our Lady of the Hundred Gates) in Parikia is considered one of the most important Byzantine monuments in Greece. 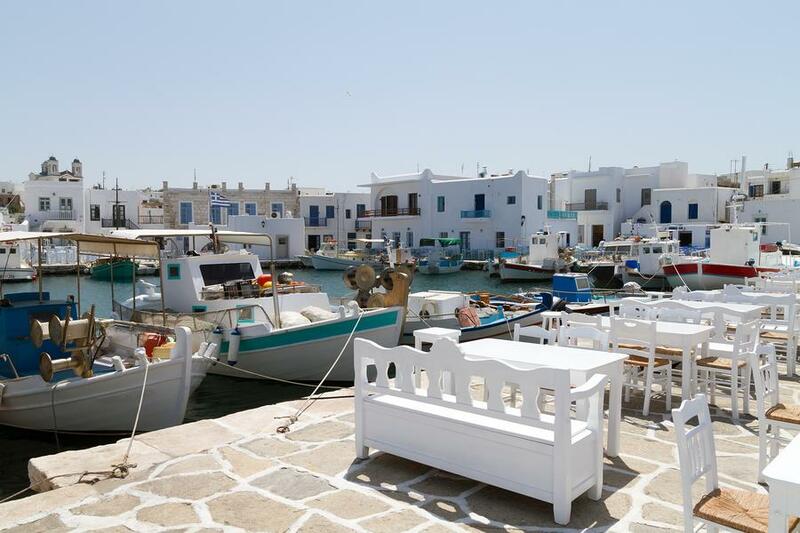 Naoussa in the northern part of the island is one of the most popular spots in Paros. It is a little harbour town with lovely bays, a Venetian castle and many post Byzantine churches. The visitor can explore the many beaches of the island including Kolibithres with a nice view of Naoussa, Parasporos sandy beach with its camp site, Punta beach with a tropical flair and smaller ones such as Delpini Beach with its turquoise waters, Piso Livadi and Logaras with a great choice of fish restaurants and tavernas. 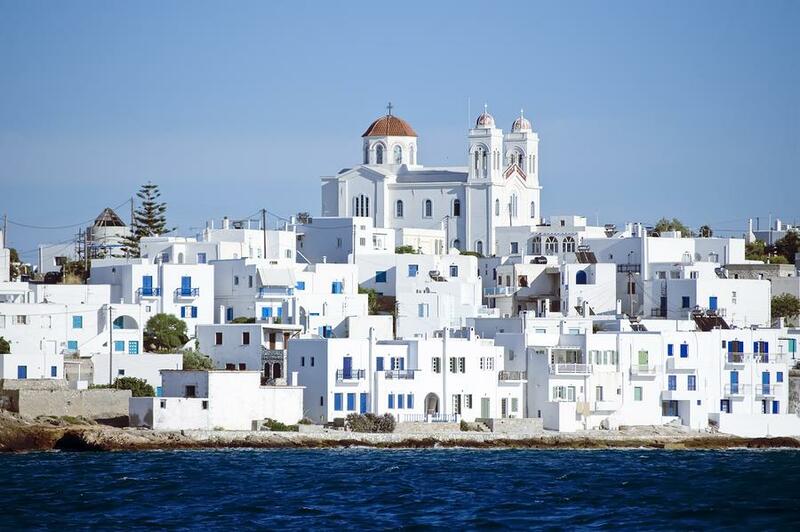 The island has been inhabited since the early Cycladic period (3200-2700 B.C.). In Paros, important archaic burial grounds have been discovered in Abyssos and Kampos. In the Archaeological Museum of Parikia you can admire finds dating back to the early Cycladic period as well as Roman times.